Stuffed or sliced, raw or cooked, red peppers are delicious! Red peppers are ingredients in a variety of cuisines, and their health benefits are immense. They are packed with vitamin C, vitamin E, and carotenoids, which are powerful antioxidants that protect against chronic disease in humans. You may be enjoying a slice of pizza topped with red pepper right now. Should you give your dog a bite? Well that depends on what you mean by red pepper. If you consider a red pepper to be a red bell pepper or sweet pepper, then you can definitely share your red pepper with your dog. But if you think of red pepper as cayenne pepper, then tell your dog no! Cayenne pepper can burn the skin, mouth, esophagus, and stomach of your dog. 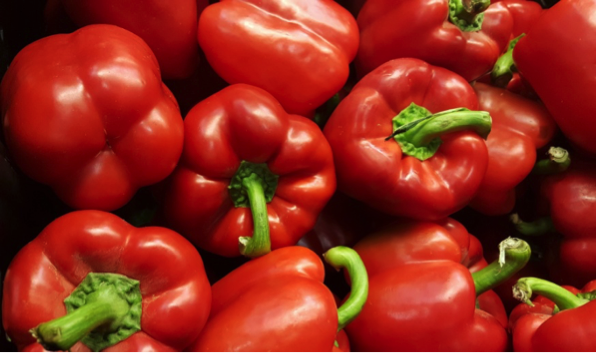 Red pepper is defined as the ripe red fruit of a sweet pepper. Okay, then what’s a sweet pepper? That’s easy; a sweet pepper is a bell pepper. Bell peppers are vegetables that have a tangy, mild taste. Unlike many peppers, they are not considered to be spicy or hot in flavor. The problem is that some people use the term red pepper to refer to cayenne pepper. Cayenne pepper is defined as a pungent, hot-tasting red powder prepared from ground red chili peppers. Cayenne pepper has the hottest taste among other common pepper powders. It is significantly hotter in taste than both paprika and chili powder. Can Dogs Eat Red Bell Peppers? Feeding your dog some red bell pepper from time to time is a great idea because red bell pepper is rich in many nutrients that your dog needs for optimal health(http://www.mybonesandbiscuits.com/can-dogs-eat-red-peppers). As with any vegetable that you feed your dog, moderation is the key to success. While bell peppers are perfectly safe for your dog, too much red bell pepper could lead to an upset stomach or diarrhea. There is no inherent problem with dogs and bell peppers, but a dog’s digestive tract is geared for meat consumption, so you want to balance the amount of vegetables in your dog’s diet. The health benefits of red bell peppers for your dog are numerous, and red bell peppers are more nutritious than green and yellow bell peppers. One of the best nutrients in red bell peppers is beta carotene. 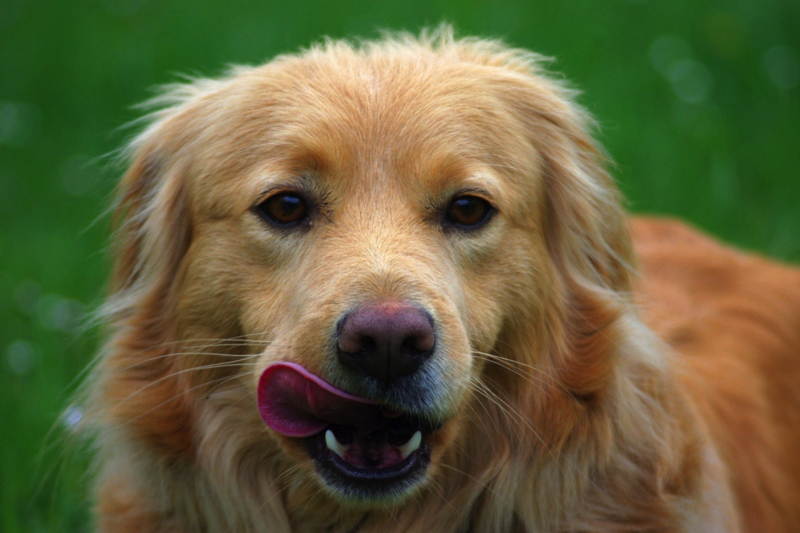 Your dog’s body converts beta carotene into vitamin A, which is great for your dog’s eyesight. Specifically, vitamin A is good for your dog’s retinas and his night vision. Because beta carotene is used to make vitamin A, it is also important for the good health of your dog’s skin, coat, bones, and reproductive system. In addition, beta carotene is a powerful antioxidant, which means that it helps stop or prevent the cell damage that can cause immune disorders and many other devastating dog illnesses. The health benefits of red bell peppers are not limited to beta carotene as bell peppers are also rich in vitamins. Red bell peppers are a great source of vitamin C for your dog, and vitamin C helps your dog’s body cope with physical stresses. Examples of physical stresses for dogs include vaccinations, injuries, illnesses, pregnancy, and nursing. Another nutrient in red bell peppers is vitamin E, which is good for your dog’s immune system, skin, joints, and muscles. Can Dogs Eat Cayenne Pepper? According to veterinarians, cayenne pepper is not toxic to dogs, but it is definitely harmful. When cayenne pepper comes into contact with a dog’s skin, it causes a burning sensation. Cayenne pepper can even burn the paws of a dog that walks on it! The effects of ingesting cayenne pepper are even worse for dogs as it causes stomach upset, pain, and diarrhea. In addition, if a dog eats cayenne pepper, he can suffer internal burns to his mouth, esophagus, stomach, and intestines. If your dog comes into contact with cayenne pepper by touching it or eating it, you may want to contact your vet. While your dog will not be at risk for any permanent damage, he will experience pain, and your vet can offer you the best advice for helping your dog feel better quickly. Red bell peppers are a great source of vitamins and antioxidants for your dogs. They are a safe and healthy option when fed to your dog as an occasional treat. On the other hand, cayenne pepper is never appropriate to feed your dog. You should make sure he never eats it and that his skin never comes into contact with it. The most important thing to remember when feeding your dog red peppers is that it has to be bell pepper, not cayenne.